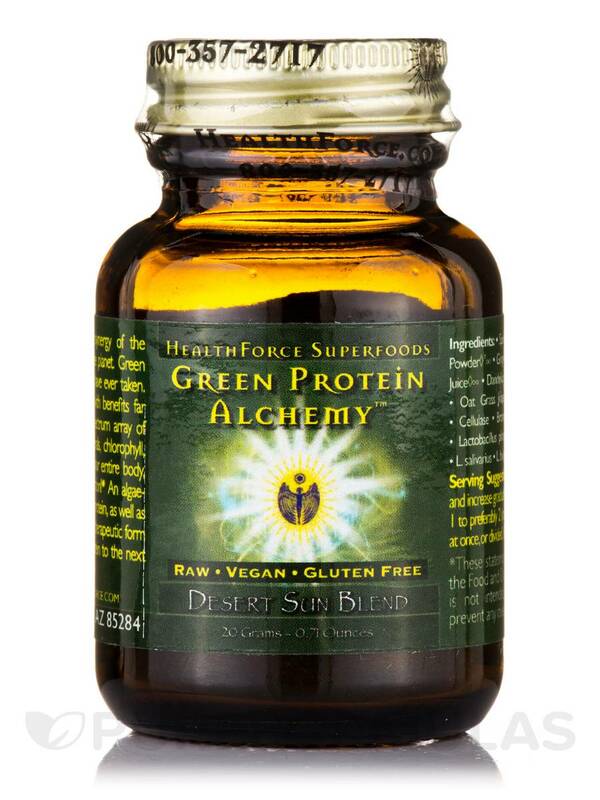 Desert sun blend - Mesquite pod powder◊°∝‚ ginger◊∝‚ nopal cactus∝‚ alfalfa grass juice◊∝‚ dandelion leaf juice◊∝‚ barley grass juice◊∝‚ oat grass juice◊∝. Protease∝‚ amylase∝‚ lipase∝‚ cellulase∝‚ bromelain∝‚ papain∝‚ alpha-galactosidase∝. 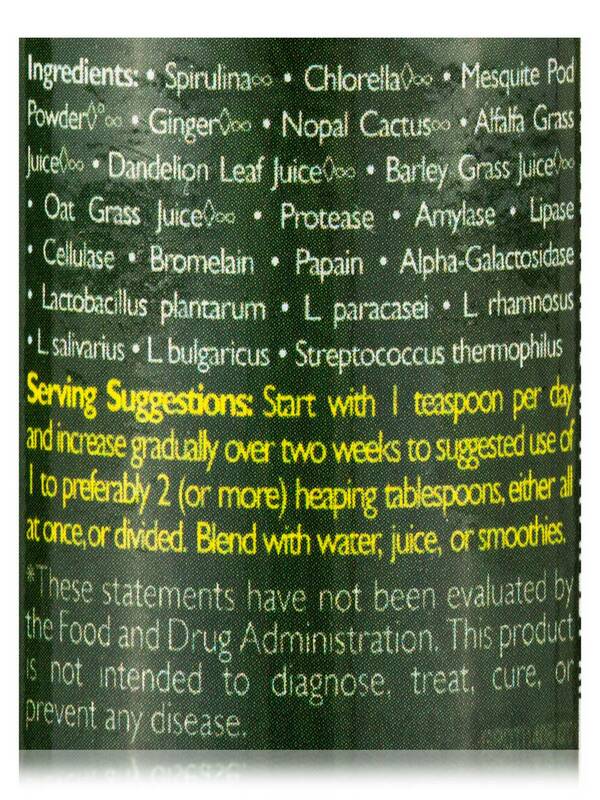 Lactobacillus plantarum∝‚ L. paracasei∝‚ L. rhamnosus∝‚ L. salivarius∝‚ L. bulgaricus∝‚ Streptococcus thermophilus∝. 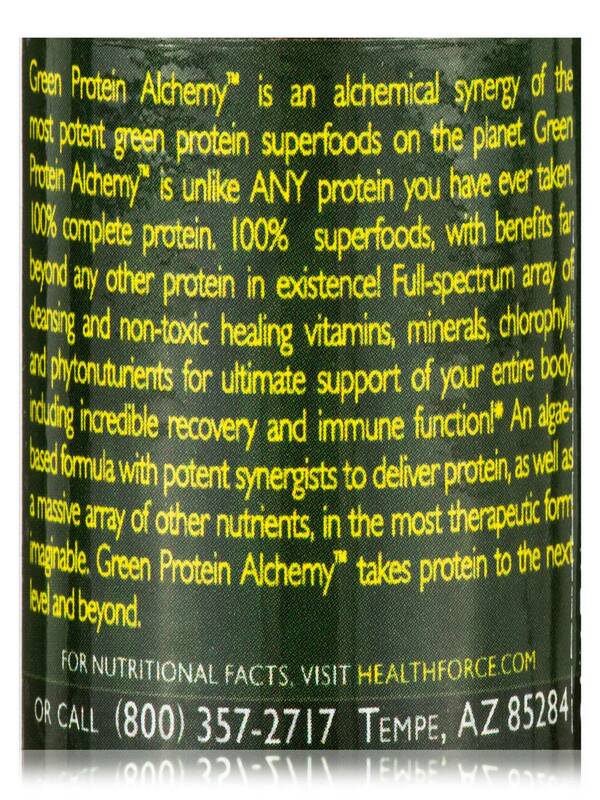 Green Protein Alchemy by HealthForce Nutritionals is delicious and healthy. 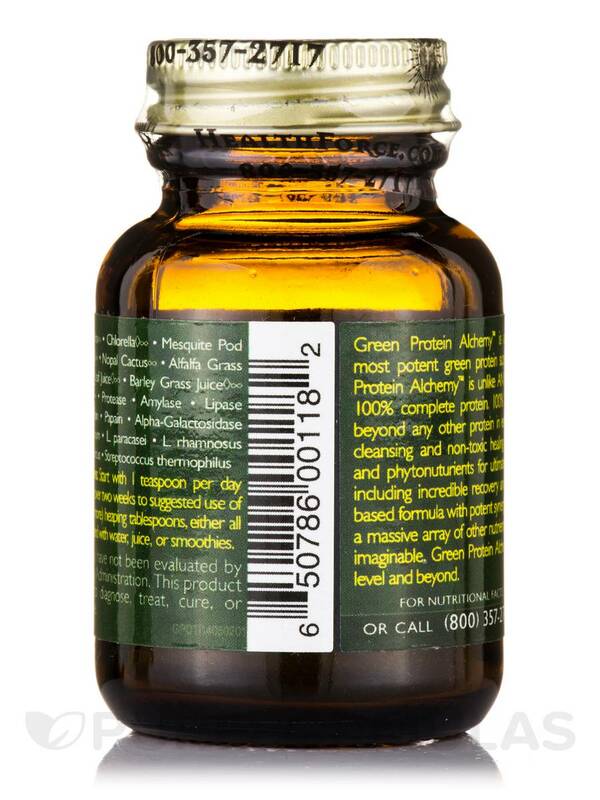 This bottle is good if you have never tried this product before, but it is quite pricy for the size, so I would go to the large size once you've tried it. 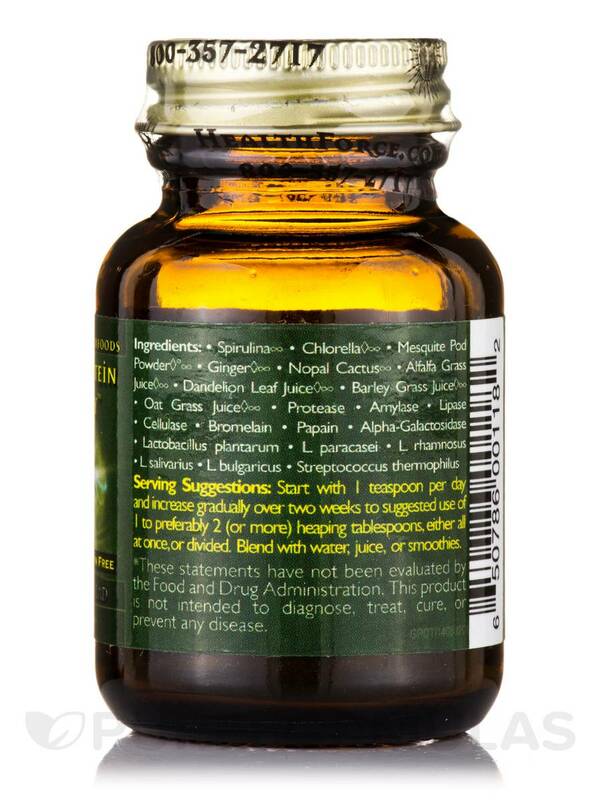 This is probably my favorite health force product (and I use many of their products). 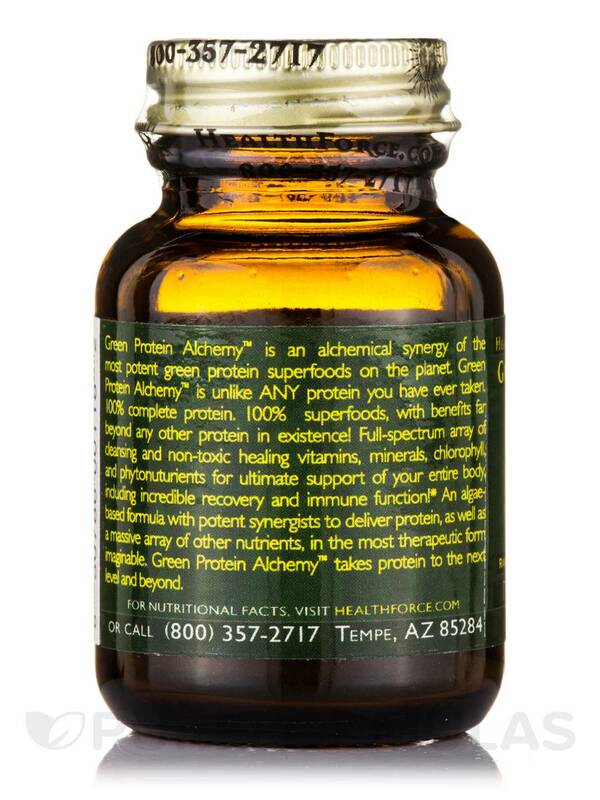 I just started using Green Protein Alchemy by HealthForce Nutritionals and let me tell you it is already making a difference. I feel alive with more energy!